After my failed attempt the other day at trying to put the girls to sleep so I can squeeze in a nap for myself, I finally gave up. I laid down on our rubber puzzle mats and told Audrey, "I'm so sleepy. Do you know what Mama does at night when Audrey and Natalie are sleeping? I work. I do that so during the day I can spend my time playing with you and Natalie. But I am so tired now. I need to rest. Can you come here and sit near me so I can lie down on you and rest my head?" Smiley, smiley, smiley. Hearts, hearts, hearts. A loving warmth flows through me. Yes, work is important. Yes, I have deadlines. Yes, I actually like working, designing, creating, planning. But this is more important to me. I'll remember these moments more than those days when I finished a work deadline ahead of time. I'll have lasting memories of fun times even on regular days spent at home. 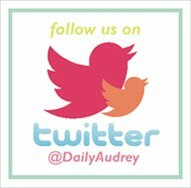 I'll remember Audrey's sweet replies, my girls' hugs and kisses, laughs and smiles, and Natalie's surprise antics. I'll witness their milestones, be the first to hear their new words and tell Dad firsthand about what's new when he gets home.